I don’t care what y’all say no mo. Christmas is finally upon us. There’s ZERO denying it: the mall traffic is redonk (I have the memories of nearly being plowed by a scary lady yesterday just WALKING IN THE PED ZONE), people are becoming more frantic, Christmas sweater parties are in full-swing and you may or may not have started and/or finished your Christmas gift giving. With the exception of this past Monday (which was like, the SLOWEST day of all time), December has whizzed on by, not giving a flying poop if you’re prepared for the festivities or not. But don’t let the jingle bells and crazed mall people get to you. I decided to compose this condensed Christmas cheat-sheet for you because while I’m sitting pretty (as of now) this holiday season on my baking and gifting, some of you aren’t–and that’s totally okay. Plus, I know what it’s like to get hella stressed and frantic when it’s crunchtime and you start blaming the world or your parents for your problems and stuff. Toootally understand. So I’m here to help! 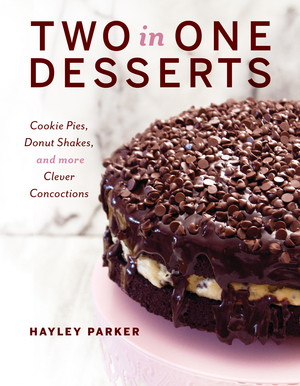 All these recipes are wonderful for cooking up for holiday parties or for wrapping up and gifting to anyone & everyone you know: coworkers & bosses; the mailman, garbage man and babysitter; your kids’ teachers or coaches; your friends; your family; your neighbors (though I’m neglecting them this year since I hate my one bitchy neighbor… I’ll tell you that story later)… whoever! These are also really great for cookie exchanges. Most of these goodies must be stored airtight for the best flavor and quality. For packaging ideas/presentation, I like using jars with screw-top or snapping lids… it looks especially nice with things like fudge or small bites. For cookies and bars, the dollar store often has wonderful holiday tins I like to wash out and line with parchment paper or festive tissue before stacking in my treats. 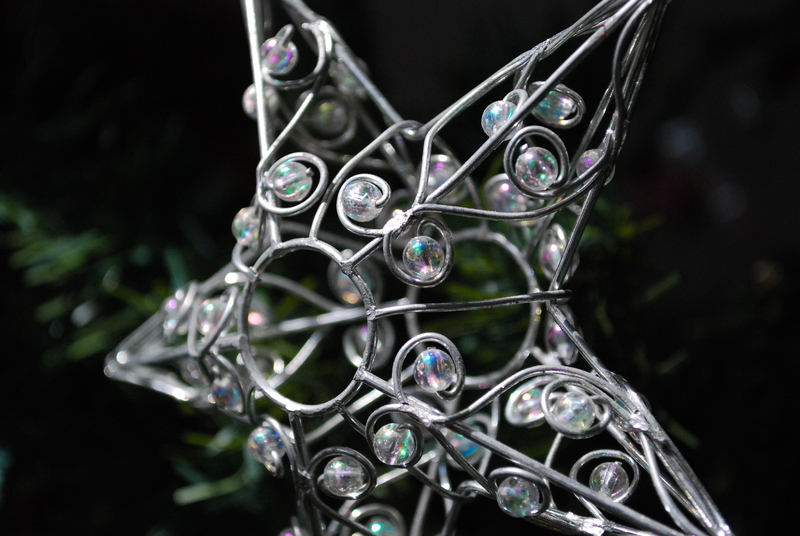 You could also use festive cellophane or frosted bakery bags, also at the dollar store, or decorative bakery boxes. Okay, okay, I’ll shut up now. I can tell you’re getting antsy. Snowball Cookies–a true holiday classic for my family… tender, nutty cookies dusted with powdered sugar. 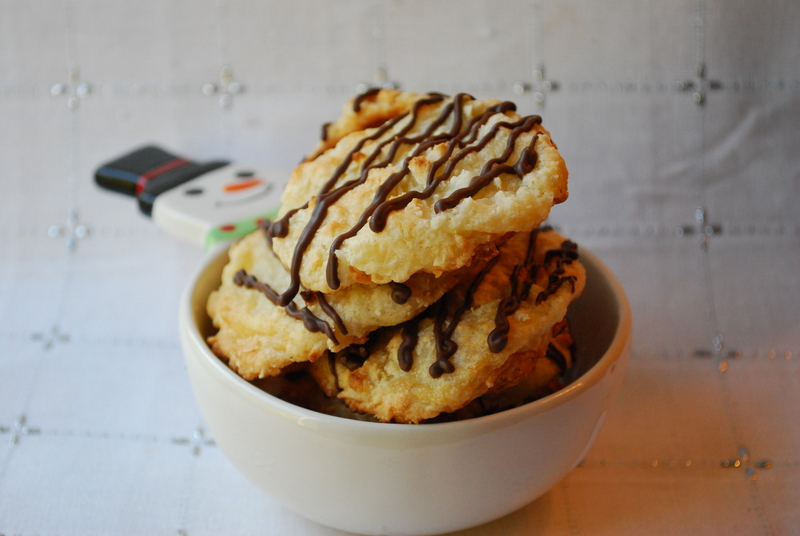 Cake Mix Macaroons–macaroons are intimidating and scary–like French cookie bullies. These are EASY and taste AHMAZING. Gingerbread Blossoms–if you have cookie-cutter aversions like me, this gingery alternative is perfect for you. Family-Favorite Snickerdoodles–cinnamon and sugar coating a delicate, vanilla-y cookie? Need I say more? Plus, this makes a huge batch. 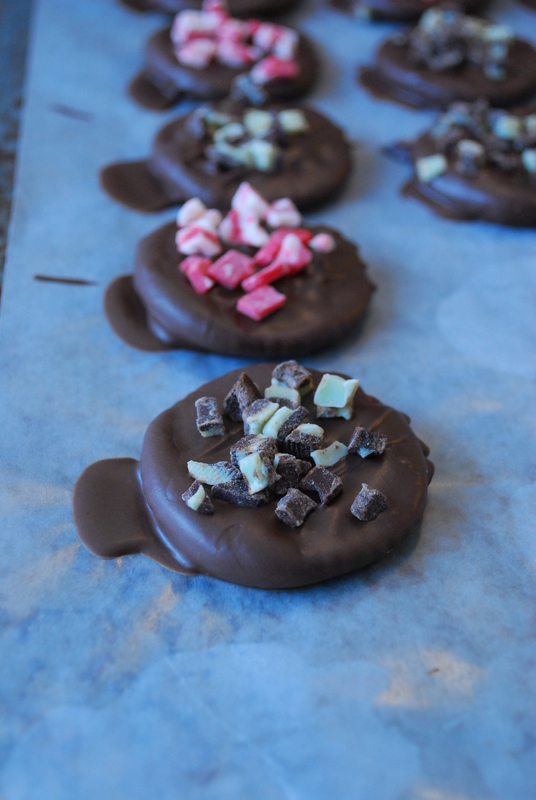 Fudge Double-Mint Cookies–chewy chocolate cookies loaded with mint M&M’s and dark chocolate & mint baking chips for a yummy cookie that’s festive and cute! White Chocolate & Cranberry Oatmeal Cookies–the cranberries are uber-festive, and these sweet cookies look pretty tied with twine. 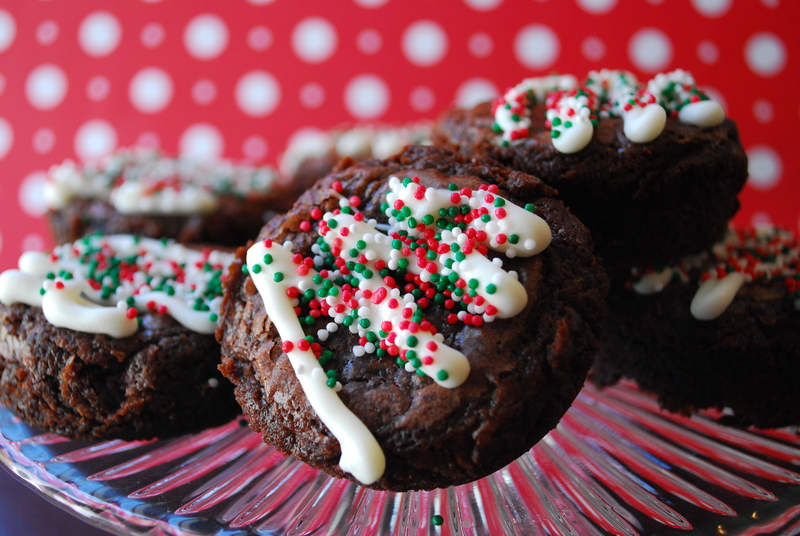 Mexican Mocha Cookies with Kahlua Frosting–one of my FAVES, these cookies will be more popular on the buffet table than the spiked nog. 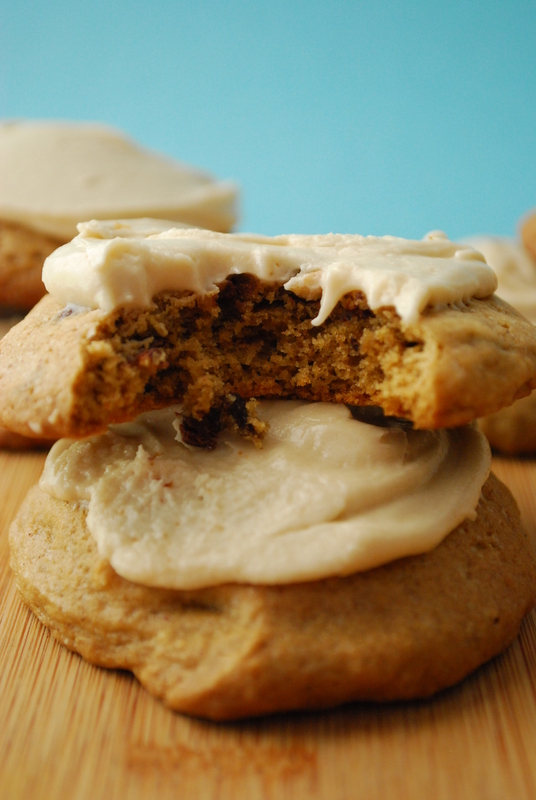 Best-Ever Peanut Butter Cookies–The title says it all. These flourless cookies are tender, buttery and SO fantastic. Gingerbread Cookie Butter Blondies–while they require a special ingredient: Trader Joe’s Cookie Butter, they are worth it. Way worth it. 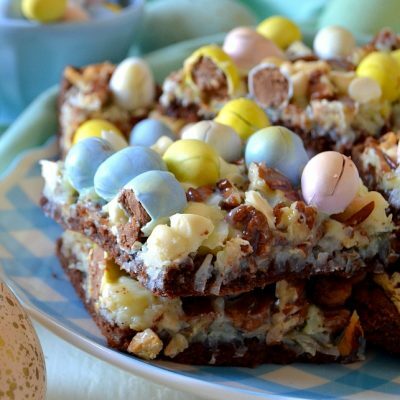 Butter-Toffee Pecan Bars–rich and full of buttery toffee and crunchy nuts, they’re made with a box of cake mix… yet no one would ever know. Homemade Nutty Bars–technically more of a “treat” than a bar, but these require 3 ingredients and are a cinch to whip together. Tie ’em up in a cellophane bag and gift off. 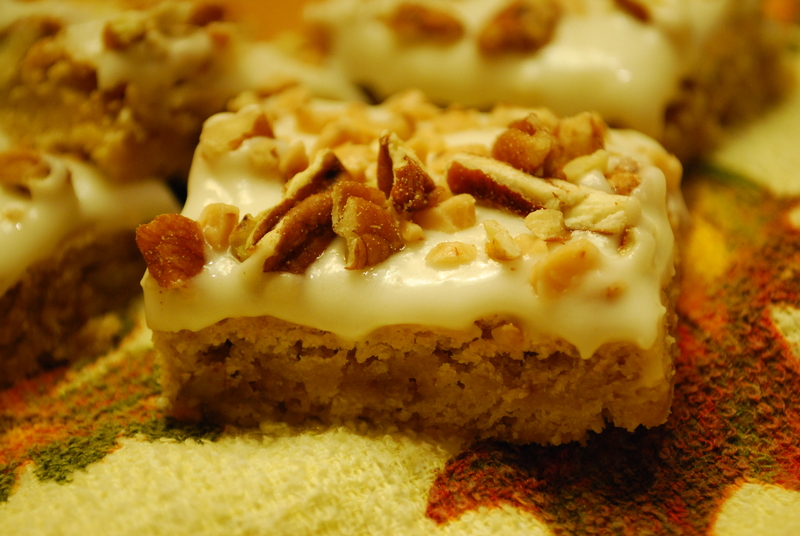 Salted Butterscotch Blondies–TO. DIE. FOR. Lemon White Chocolate Bars–lemon is totes a year-round fave flavor of mine, and these are soo yummy and soo easy to make. 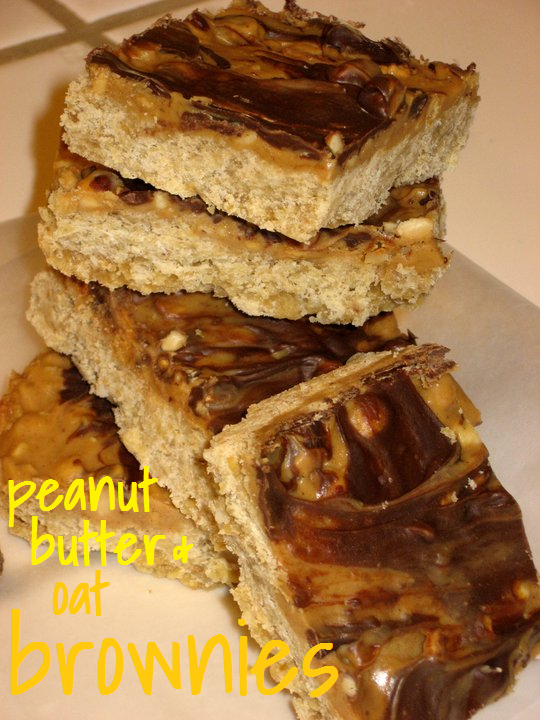 Peanut Butter & Oat Brownies–not really a brownie, but a really awesome bar. And the fudge/pb swirl is pretty. Peanut Brittle Bars–peanut brittle is quintessential for the holidays, so make these bars instead… no crazy candy-boiling needed. Peppermint Bark–we’re talking 3 ingredients. Awesome, right? Chocolate-Peppermint Cracker Thins–who would think chocolate-dipped Ritz crackers would equal a Girl Scout Thin Mint Cookie identical twin? These look purty wrapped up in a bag with a bow. Peppermint Bark Fudge–everyone loves fudge! Chocolate-Dipped Pretzel “Drumsticks”–a cute idea that’s fun to make with the kids–easy to gift up, too! 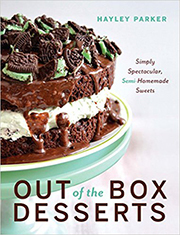 Think outside the box for topping and sprinkle ideas. Trick or Treat Candy Bark–don’t let the name fool you! While this recipe was originally for Halloween, make it Christmas-festive by using red and green colored M&M’s, chopped Andes mints, or even red and green candy melts for the drizzle. This bark is versatile for any holiday. Homemade Peanut Butter Cups–and that’s all she wrote. 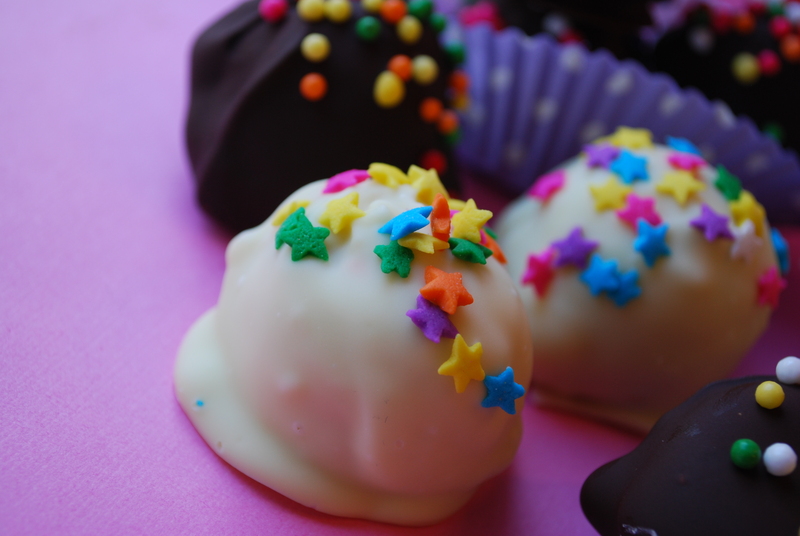 Cake Batter Cookie Dough Truffles–gift these in a snap-top jar, and substitute the rainbow sprinkles for holiday ones. Easy! Brown Butter Pecan Bark–one of my holiday favorites, this highly addictive bark has a graham cracker base that’s SO good. 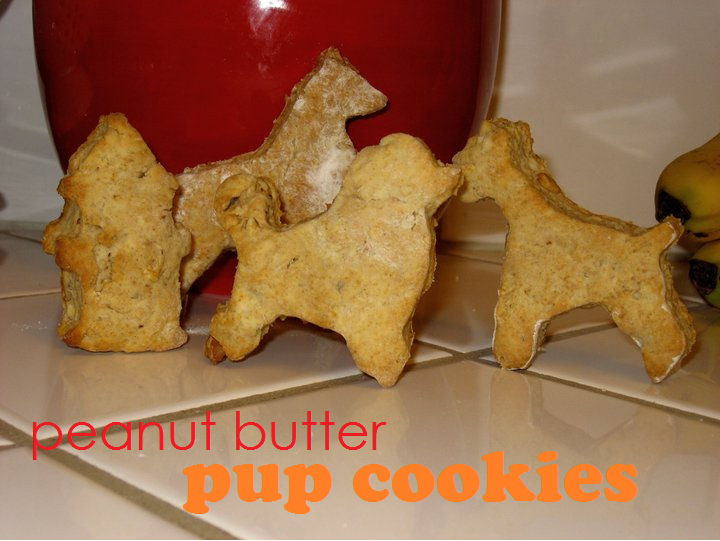 Peanut Butter Pup Cookies–because your four-(or three!) legged friend deserves some cookies, too! Set of 3 Cookie & Cupcake Boxes–fits everything and look adorable all stuffed with goodies. Candy Cane Goody Bags–cheap and easy for anything from cookies to truffles to fudge to the Chocolate-Dipped Pretzel Drumsticks. And remember to look for bags, boxes and tins at your local dollar store–I got all of mine there for under $10 and the variety looks really cute–think one type of bag for each type of cookie/treat. Also, when I’m gifting edible treats for people, I like to create tags or “menus” for my recipients so they know what they got. Lots of places sell really cute, authentic tags, but they’re quite pricey. For this, I like using a heavy colored card stock, cutting it to fit the size of a “tag” and writing the types of treats on it with a colored Sharpie. You could also use festive scrapbooking paper and cut the edges with special scissors, or use stickers to create cute designs on the tags or menus. 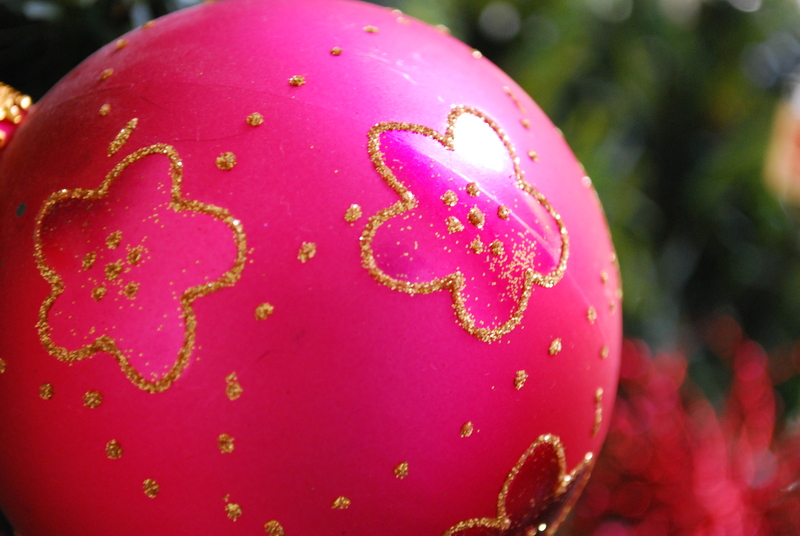 Remember: the holidays are supposed to be FUN, so don’t stress over things you can’t control. Best advice I can give year-round!